Over the past few weeks I have been cataloguing a collection of drawings by former Glasgow School of Art student, Kenneth Murray Fraser (1906-1988). 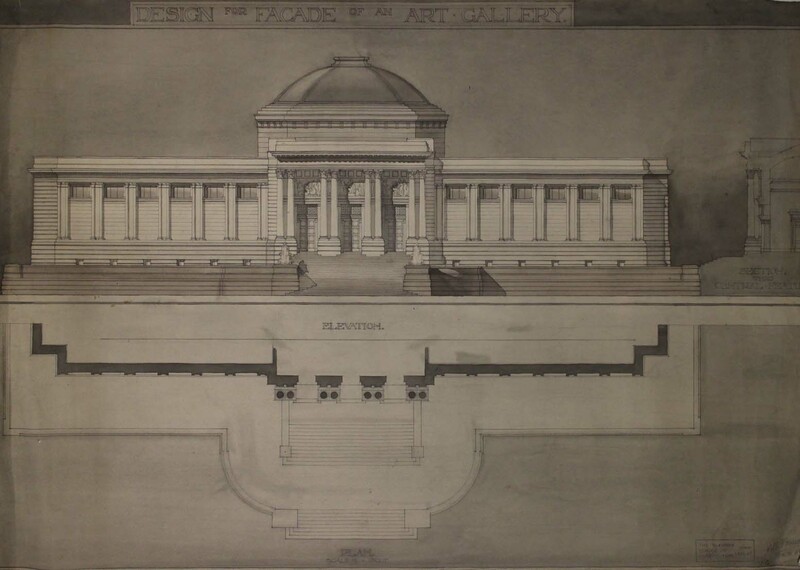 The drawings are primarily the product of Fraser’s architectural student work, tracing his time at the Glasgow School of Art from 1926 to 1932. Designs range from projects for a Gothic cathedral to a steel-constructed warehouse, many displaying accomplished draughtsmanship. Following his education, Fraser was employed in a number of architectural firms – most notably Sam Bunton & Associates, the firm behind Glasgow’s Red Road Flats. Fraser joined the firm in 1941 as an assistant – and in the same year the firm gained a sudden opportunity; following the devastation to Clydebank as a result of the only major bombing raids to hit Scotland during the Second World War, Bunton promptly obtained permission to act as a government representative for the clearance and repair of the town. Subsequently, the firm worked as consultant architects for Clydebank’s reconstruction, establishing a reputation for urban projects. From the mid-1950s, Sam Bunton & Associates focused their efforts on the creation of mass housing. Fraser helped organise the design of several tenements in peripheral areas such as Glasgow’s Drumchapel and Clydebank’s Faifley, with the aim of providing the most economic construction possible. Among the Fraser drawings is a plan for the redevelopment of Merry Street, Motherwell, intended to create housing for nearly 2,000 people. Sam Bunton & Associates are credited as consultant architects for the scheme, which never reached fruition. 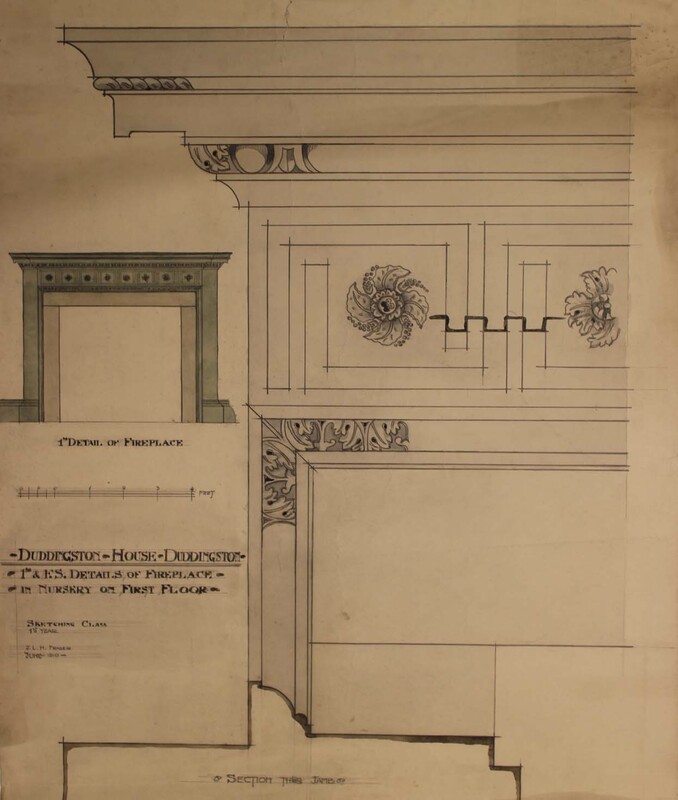 Interestingly, among the drawings is also a 1st year sketch of a fireplace at Duddingston House, Edinburgh. Unlike the other drawings, however, this is credited to ‘J. L. H. Fraser’ – who has been identified as Kenneth’s older brother, James Lovat Hosack Fraser. James studied at Edinburgh Academy and, like his brother, was subsequently employed as an architect. Sadly, his life was cut short when he was fatally wounded during the First World War, aged only 24. This sole drawing is therefore of special significance. 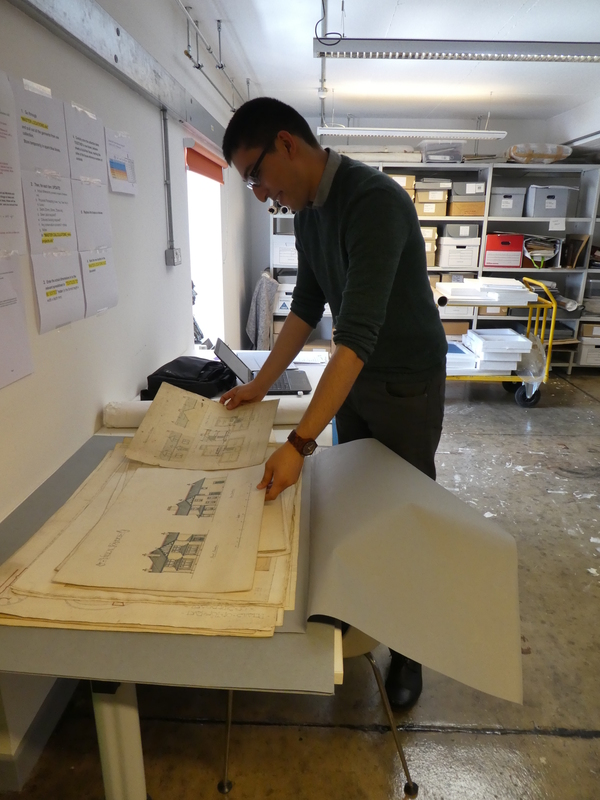 The Fraser collection, consisting of 27 drawings, can now be found in the Archives & Collections catalogue.